2011 has just come to an end; it’s now time for statistics and assessments of all kinds. 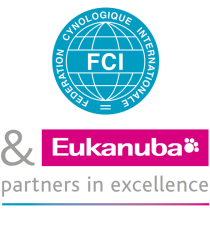 Allow me to dwell upon the special attention the FCI pays to its national canine organisations as well as to breeders, exhibitors and other sports competition enthusiasts (hunting, utility, Sighthounds races, etc.). Needless to say these figures show that the cynological world remains intensely active within the FCI member countries despite the tough and sullen times our economic and social spheres are having these days. First cheering result: in 2011, the number of CACIB shows has reached as much as 870, compared to 821 two years ago.